Finally, we are here – Moscow. 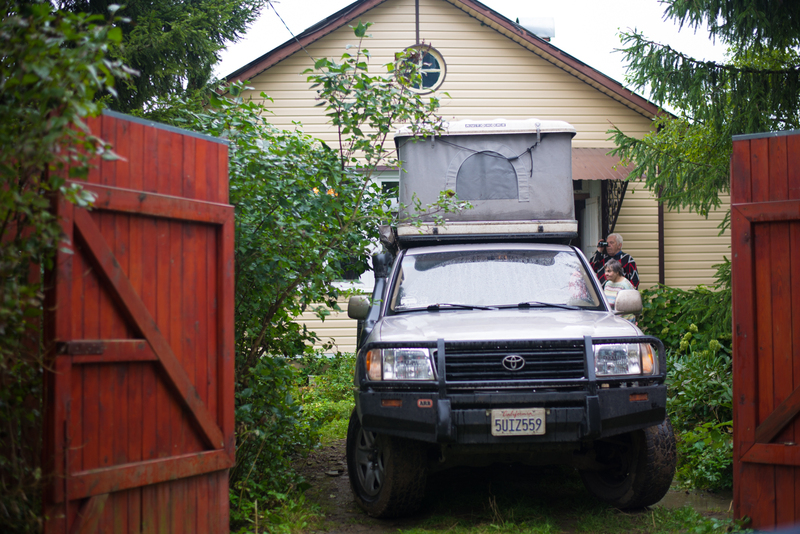 Actually its my great-grandma’s summer home just outside the city…but after coming this far…this is Moscow to us. All my cousins decided to surprise us by showing up at the house and welcoming the world wanderers with a great company. Quickly lets go through my family from left to right: Sasha my little niece, Hyein, Anton (4th? 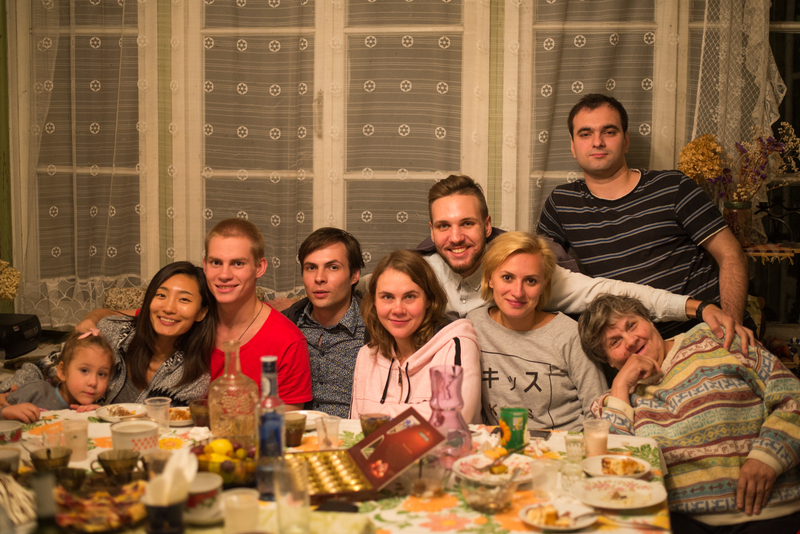 cousin), Daniel (4th cousin and Anton’s borther), Katya (2nd cousin and Sasha’s mom), Misha (2nd cousin and Katya’s brother), Natasha (Misha’s wife), Maxim (my 3rd cousin, we visited his parents in Kazan) and Olya (my grand-aunt). Ah…the grandma decided that they wanted to be in with the cool kids: my grandma (very left) and her sister Natasha (to my left) . 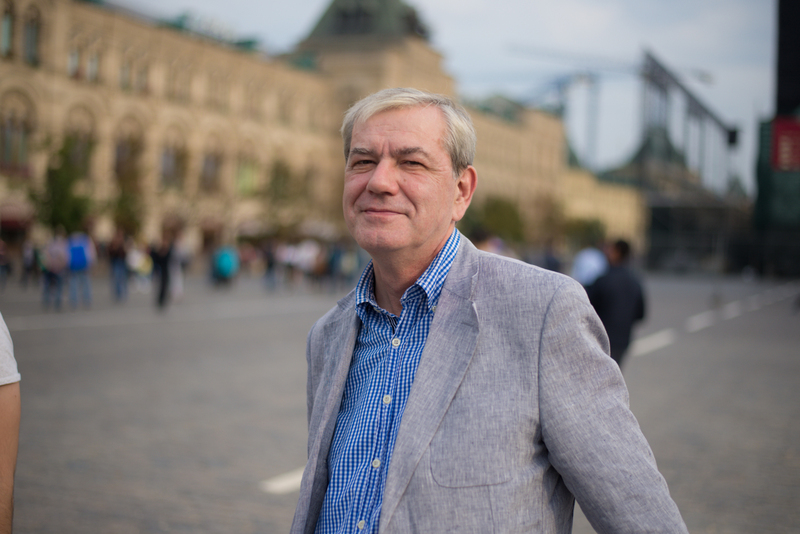 When starting the trip i thought about the moment of finally coming to Moscow, i didn’t know how that day will go. 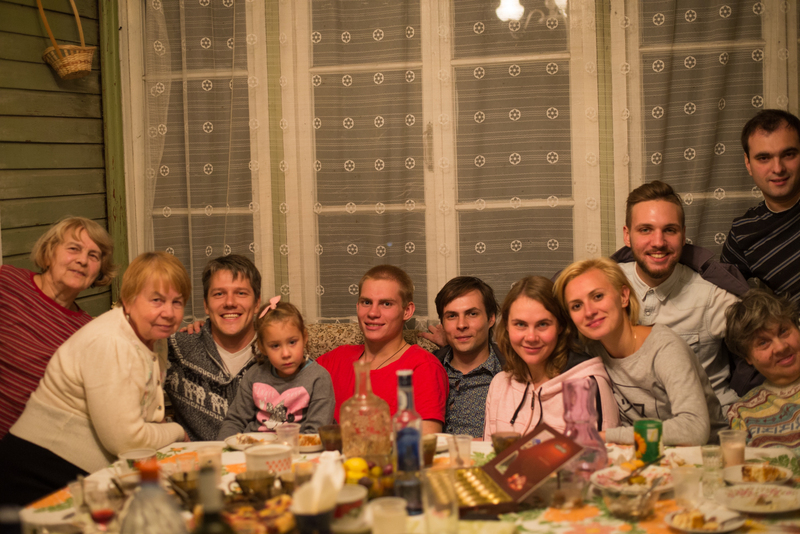 But i always hoped that it would be possible to arrive and meet my whole family…all at once, and have a great party! I didn’t even have to do anything…they organized it all by themselves. It was the best present that they could have given me. Seeing them after such a long trip was truly a teary-eyed moment. The last time we got together like this was at our great-grandmother’s 100th birthday. It felt great to be again together. Thank you so much for coming out, i know that some of you (ahem, ahem Maxim) had to travel almost as long as we did to get here! The night couldn’t stop us from looking at the car, under the dim light of headlamps we managed to give a full tour of the car. In the morning my grandma, who usually parks here little Lada here, commented that our car truly seems like a huge beast when parked inside the gate. Did i tell you that this summer my grandma fell down and broke her hip bone? Yeah, luckily it was a very clean break that required only a few days of bed rest in the hospital. No…lucky not for her, but for the hospital, i’m not sure if they could have dealt with her anger if they told her that she needs to be in bed for a few months. So when in the morning we opened up the tent to show to everyone. grandma demanded that she also goes up the ladder to check it out. Everyone around screamed their objections…remember determination like hers is rarely seen in people of our generation. She did agree on the condition that we would be there on both sides of the ladder…..just in case. Moscow, my birthplace. This wasn’t just another city on our tour, this is the place that i visited only once after leaving Russia at the age of 14. Because of the military service i couldn’t go back for so many years, so all the memories and feelings of nostalgia have gone unchecked for 15 years until i could go back and see it again in 2014. Coming here again just two years later felt like a dream…am i allowed? Can i go back so soon? You mean, i dont have to wait another 15 years? 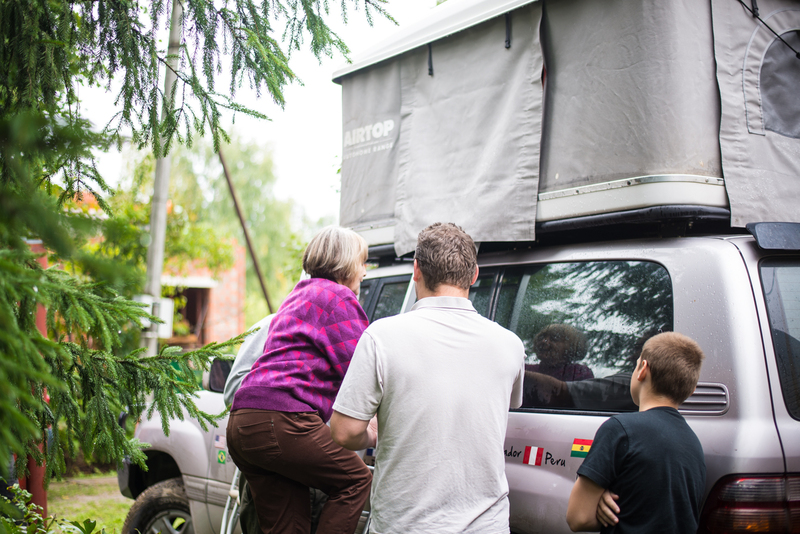 As you can probably imagine, you can’t just roll up to the Red Square, park your car and pitch a tent for the night…this isn’t 1987 (link here). We found a parking lot next to my dad’s apartment building and will live inside for a bit, like normal people do. So what do you do on your first day in Moscow? 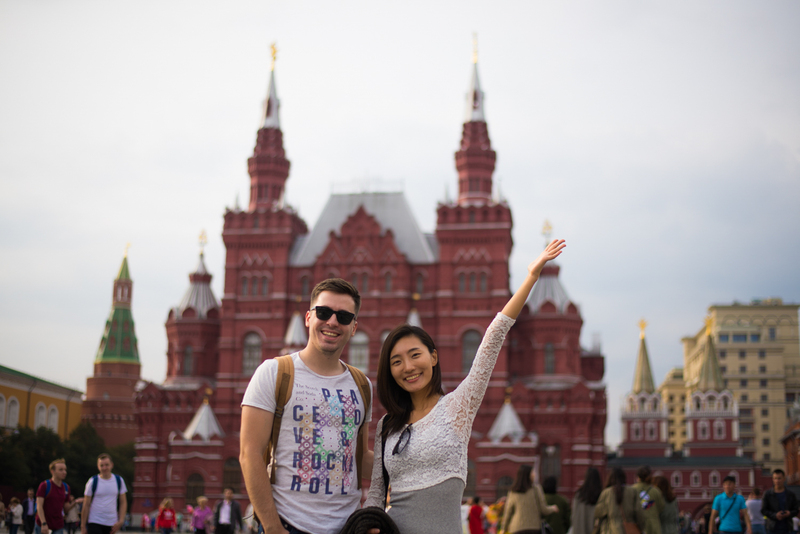 Go to the Red Square and meet up with old friends. To be honest, even though i was born here, i very much feel like a tourist visit the Red Square. In your childhood you are busy with school, homework, friends….and since this is YOUR city you dont really feel like going to the most famous places, there will always be time to go there, until there won’t be. 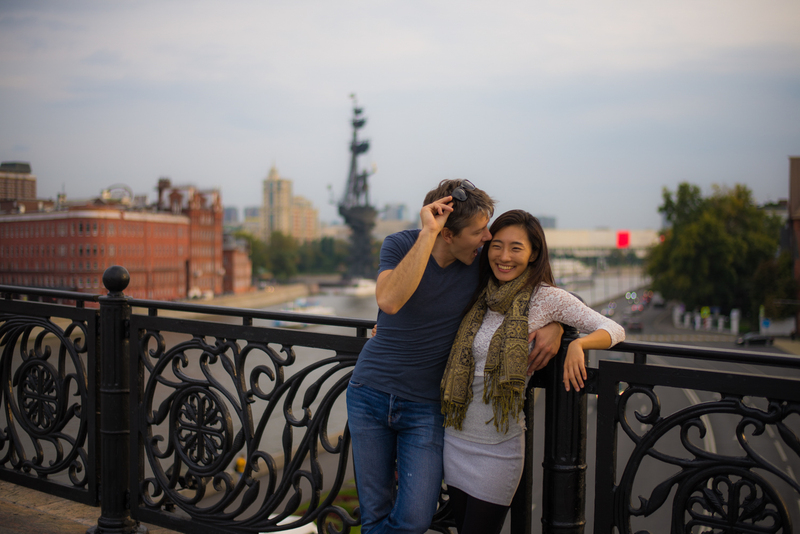 Our good friend Alex, who went to grad school with Hyein, then lived a block away in Harlem with me for a year…he happened to be visiting Moscow at the same time. We really didn’t care about seeing him, but it was nice to have someone take photos of us for the day. My dad had a day off so he decided to spend it with us. The Red Square, just like the Times Square, is filled with mostly Chinese tourists taking a break from their exhausting days of trying to see too much in a single day. 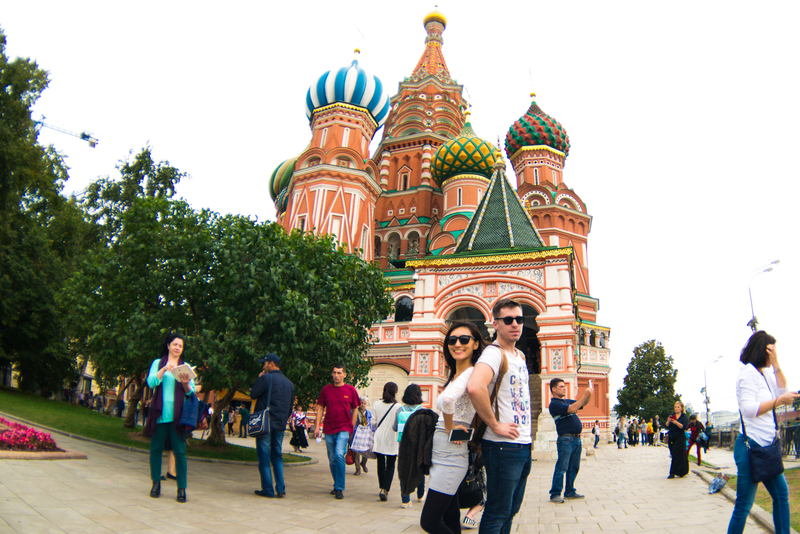 The famous St. Basil’s church in the Red Square, besides Stalin and Lenin is probably the most iconic Russian symbol. 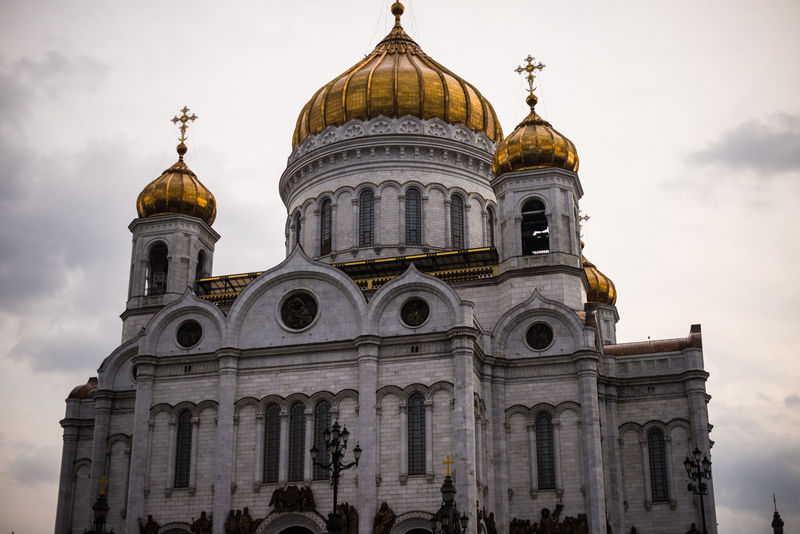 Christ the Savior Cathedral in Moscow. The Soviet regime wasn’t too keen on this whole religion thing, so a lot of the churches, temples and mosques were demolished. Instead Stalin wanted to built a huge statue of Lenin here, but as usual the plans in Russia are grander than the wallet and the construction was halted, leaving a gaping hole in the ground. Later the plans were put on permanent hold and the hole was turned into a huge outdoor swimming pool. While we were discussing all of this, my dad chimed in that he actually used to come to this pool when he was a child. In the 90’s the Cathedral was restored, i guess restored is not even the word, it was built again from scratch to look as much as the original as possible. Although this will not erase the dark history the church has gone through during the soviet regime, but its still better than nothing. Kremlin in the background, two good-looking Russian studs, grey gloomy skies …this is such a Russian photo. A bit more fooling around on the bridge. 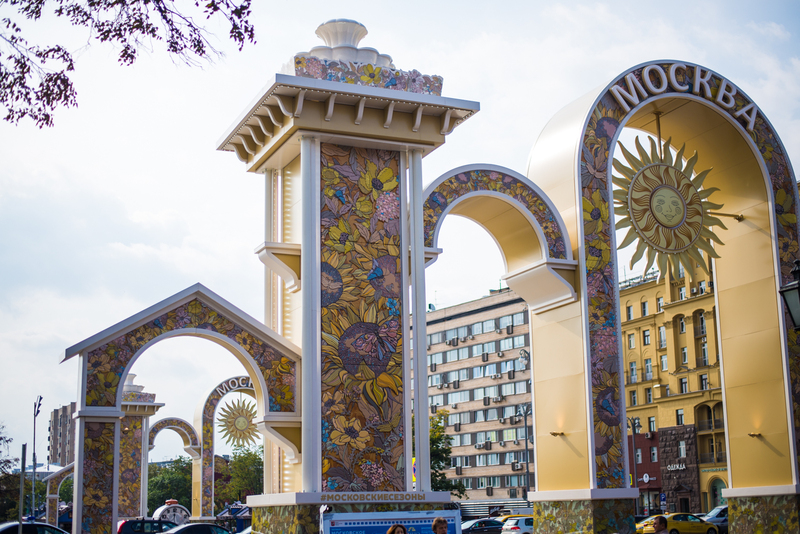 If the weather is good enough, and we were lucky to have a couple of days of warmth, then you can spend a whole weekend walking around in the center of Moscow. 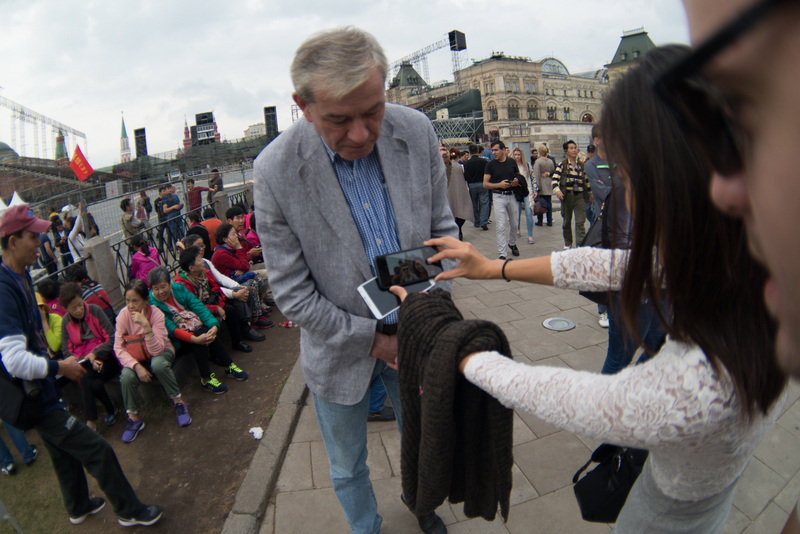 From Arbat (walking street), down to Kremlin, Red Square then onto Tsum and Manegnaya Plaza a very nice way to spend the day. The streets are clean and the pavement is perfect, there are cross walks everywhere. But when the weather turns on you…this could be a trek “beyond the wall”. Another iconic structure is the Stalin Skyscraper, there is a total of 7 of them all around Moscow. According to the wiki they are called “Seven Sisters”, i trust wiki on this one because it also mentions that no one from the local populace knows or uses this name…damn right. 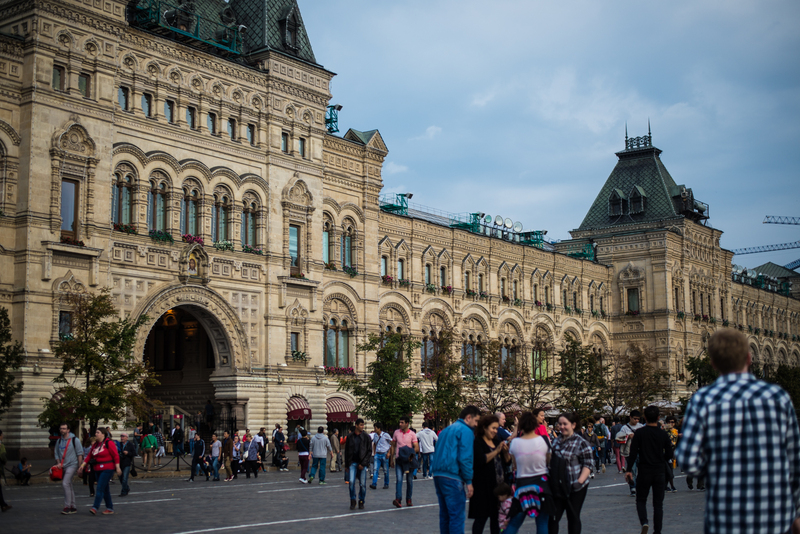 This one is called the Kudrinskaya Square building and was design to house the cultural elite of the state rather than the despots at the top. 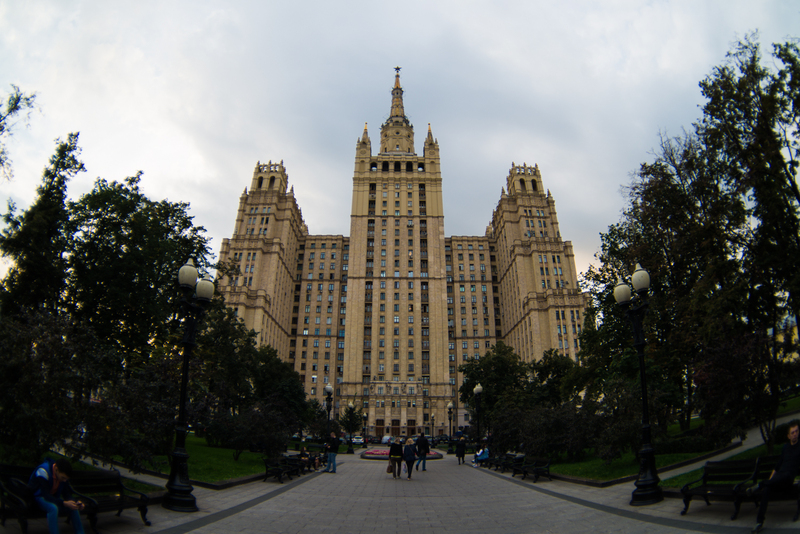 The largest of these so called “sisters” is the main building on Moscow State Univeristy, a place that i would see everyday on my way to and from school. It looks very similar to Kudrinskaya one, except bigger….way bigger. Nice to see two of my former students meeting in Moscow. Congratulations on making this far. Please say “ni hao” to Alex from me! Good post! Moscow is really one of the best places to visit in the entire planet. A few months ago I had visited there with my hubby. 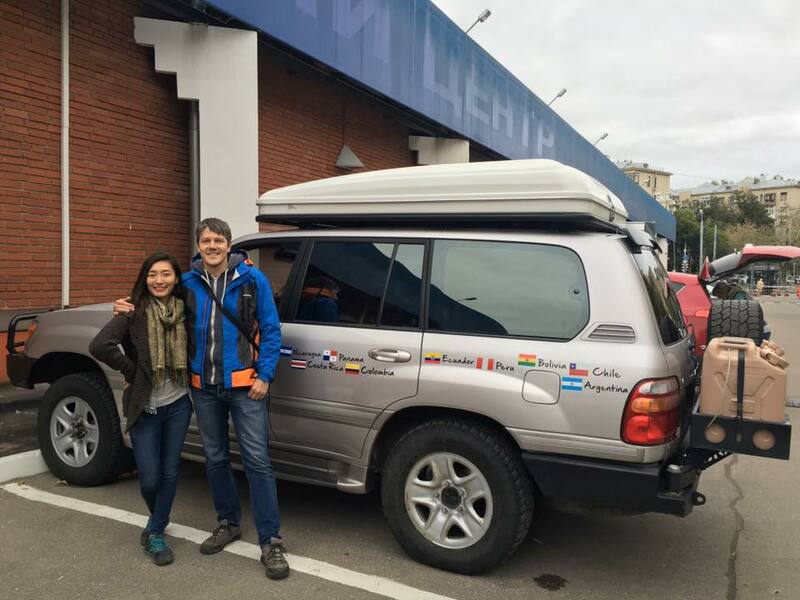 At that time we contacted with Happy Moscow Tours. That trip was awesome with the help of this famous tour agency. Keep blogging like this.